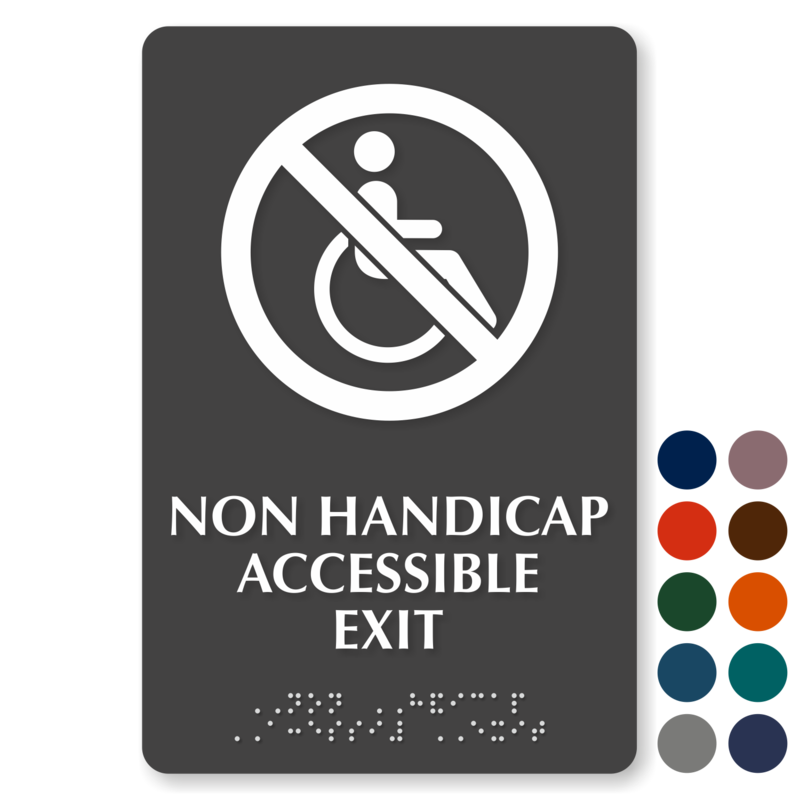 Who says complying with rules calls for humdrum ADA signage? 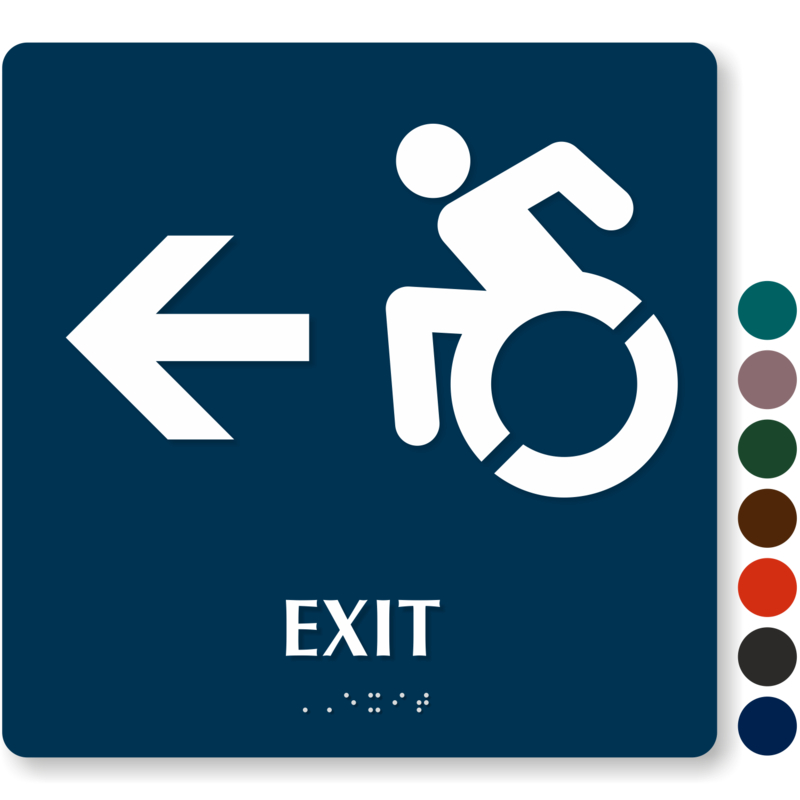 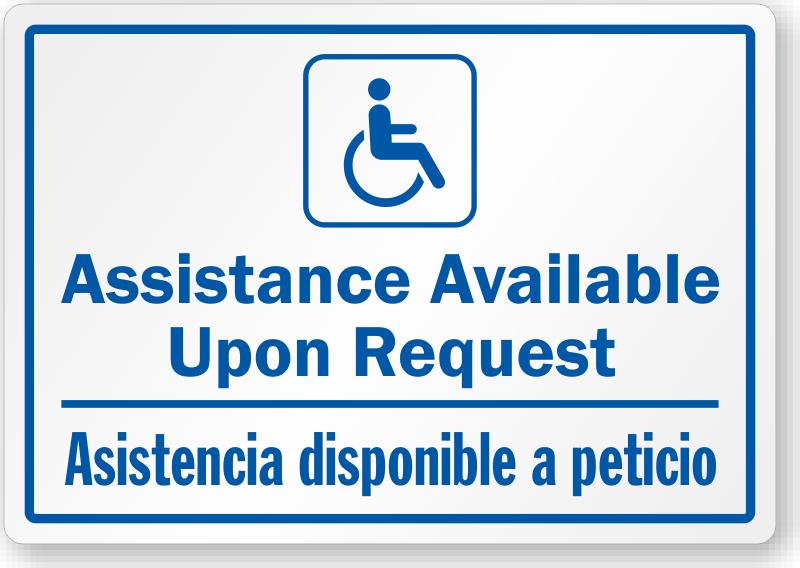 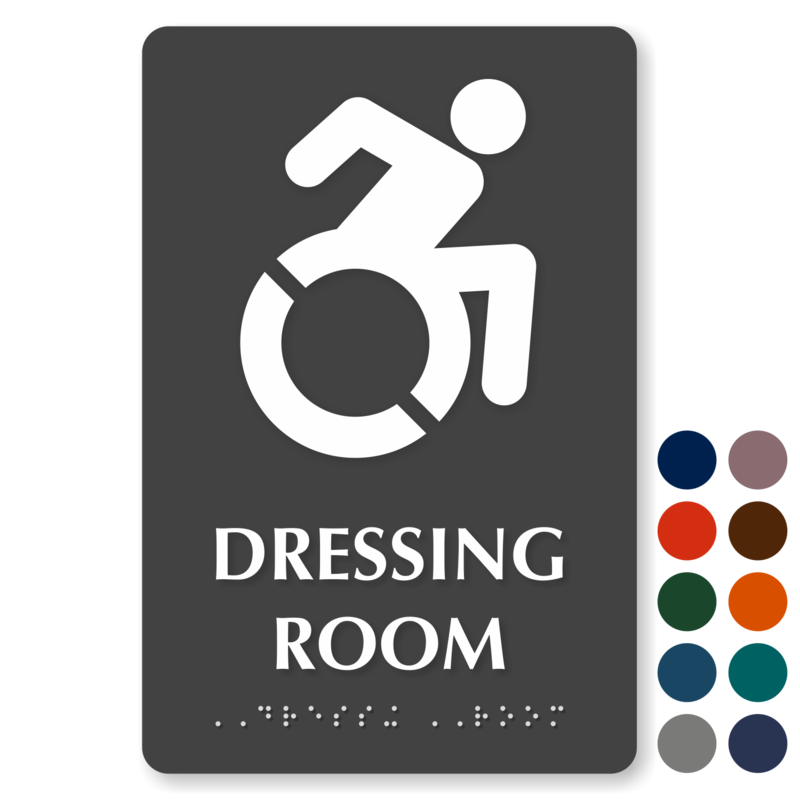 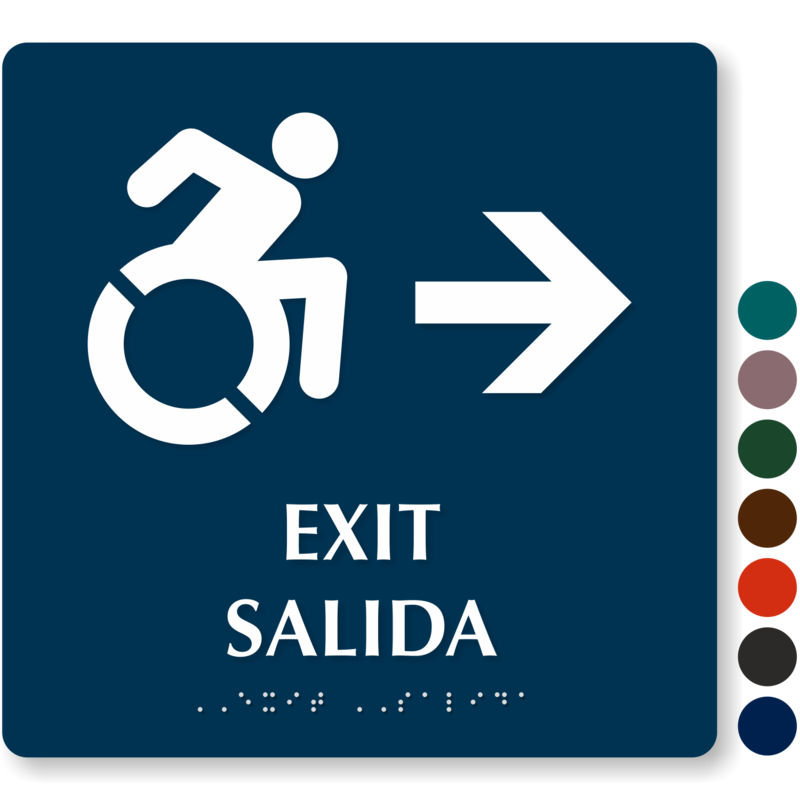 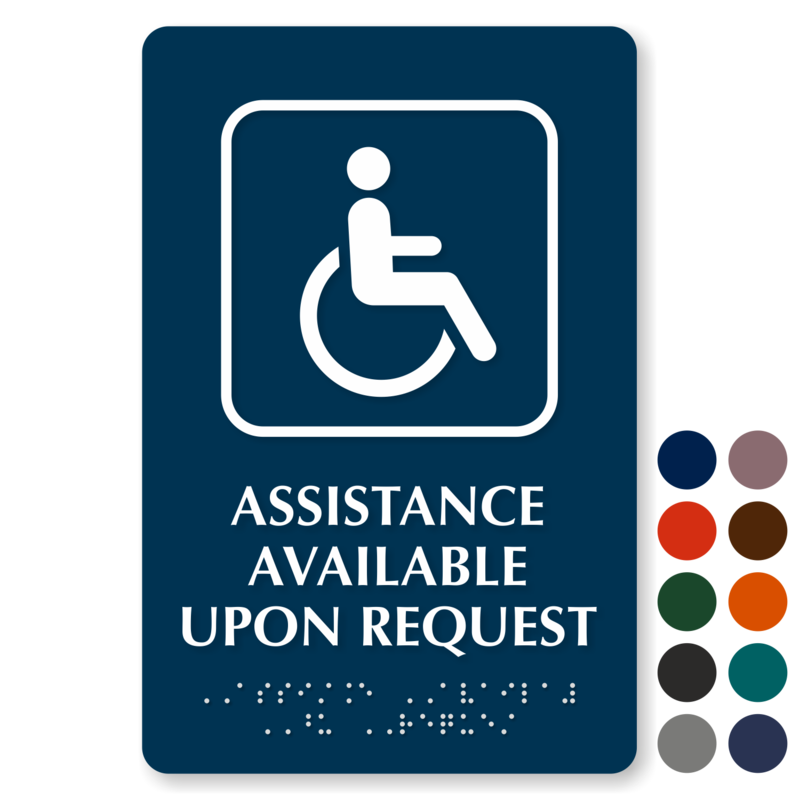 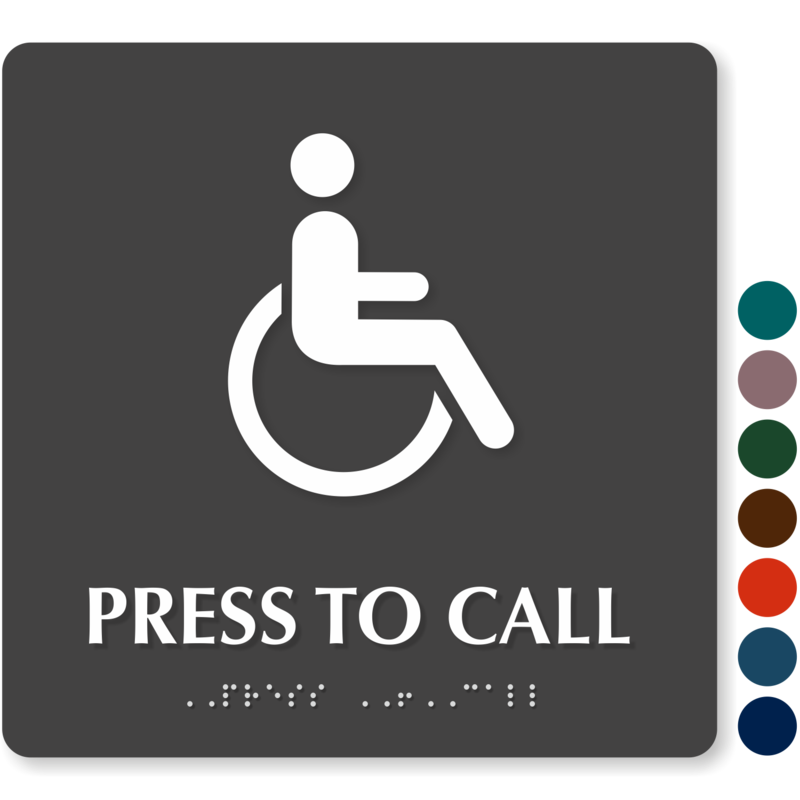 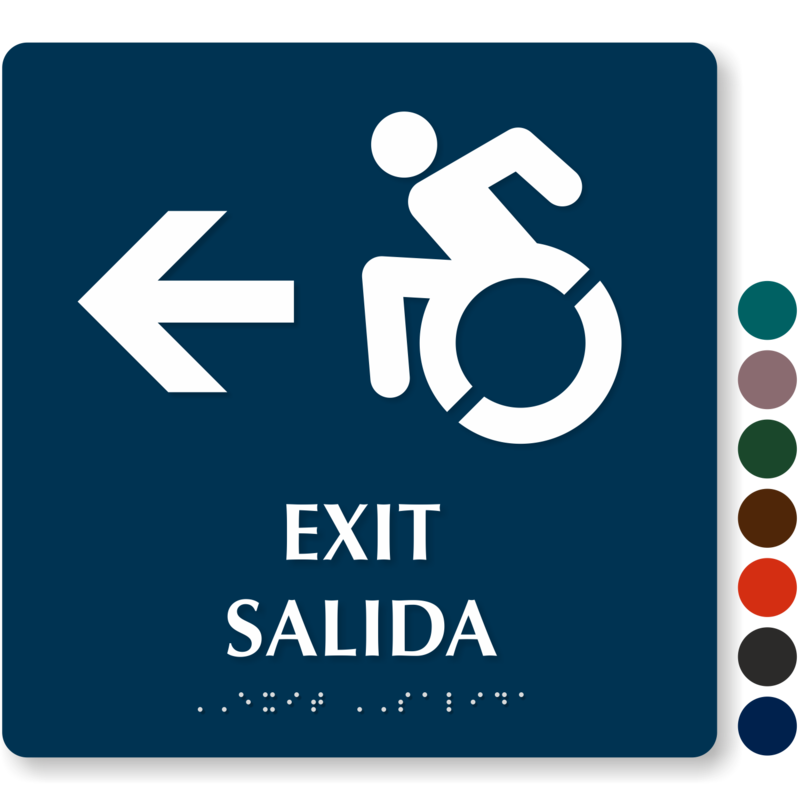 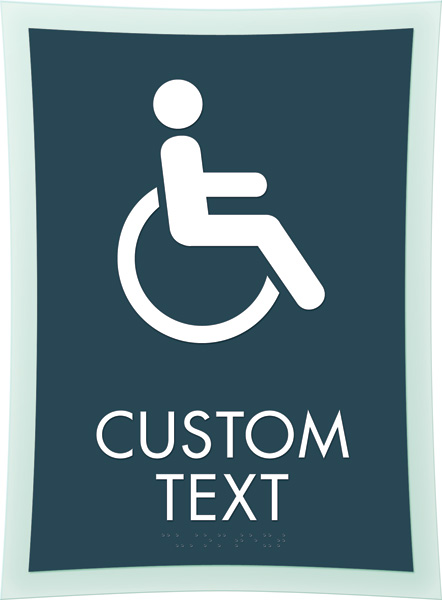 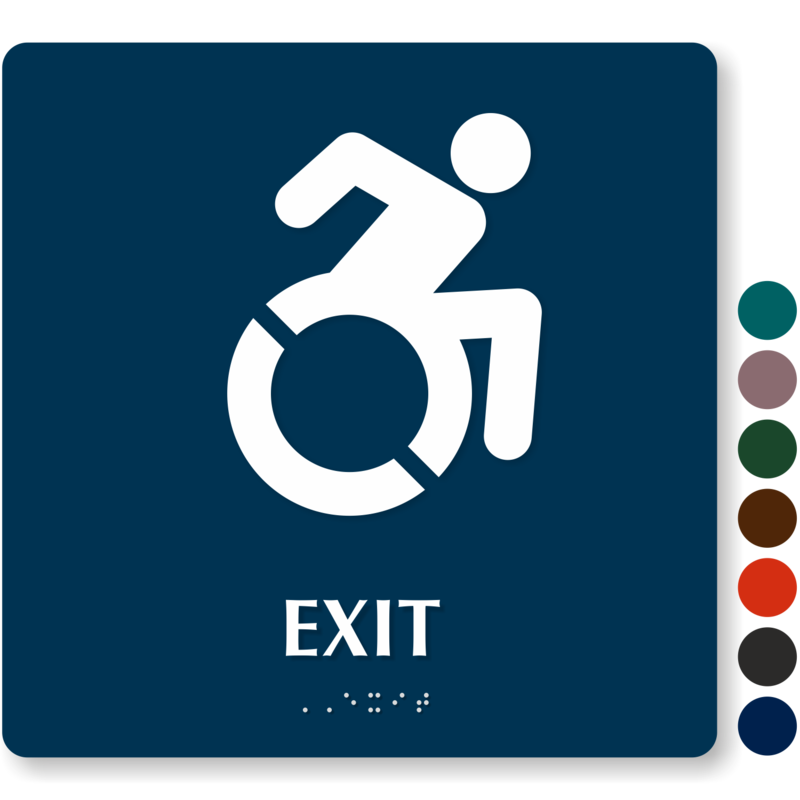 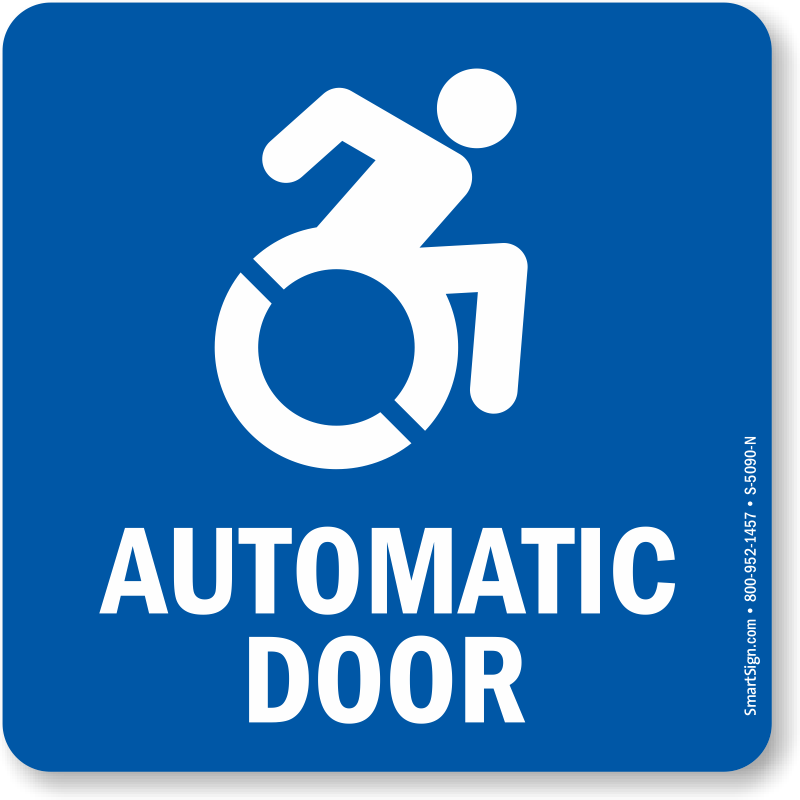 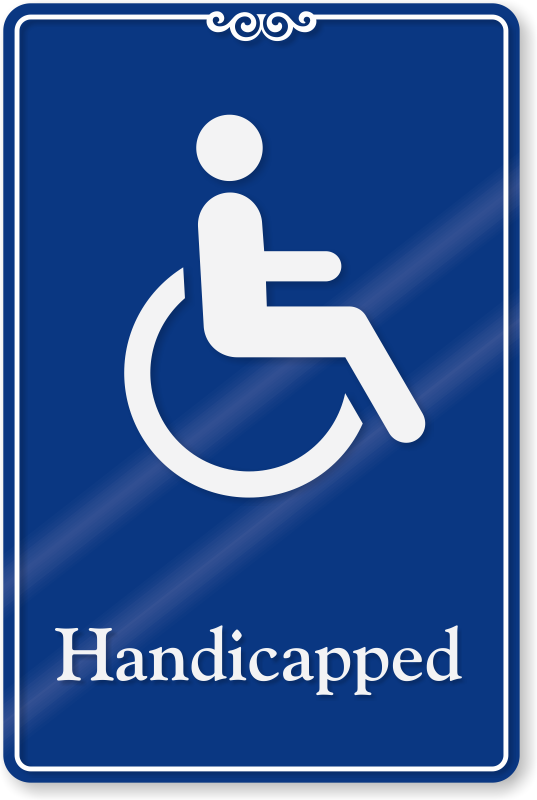 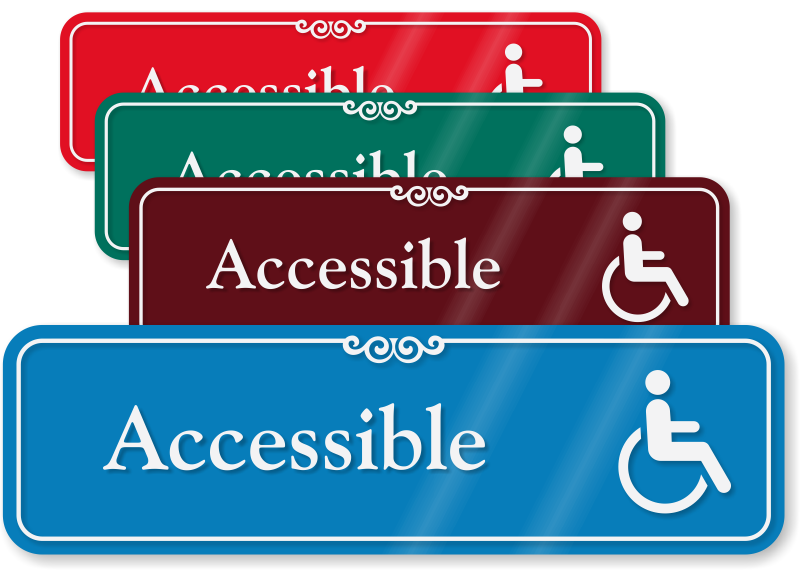 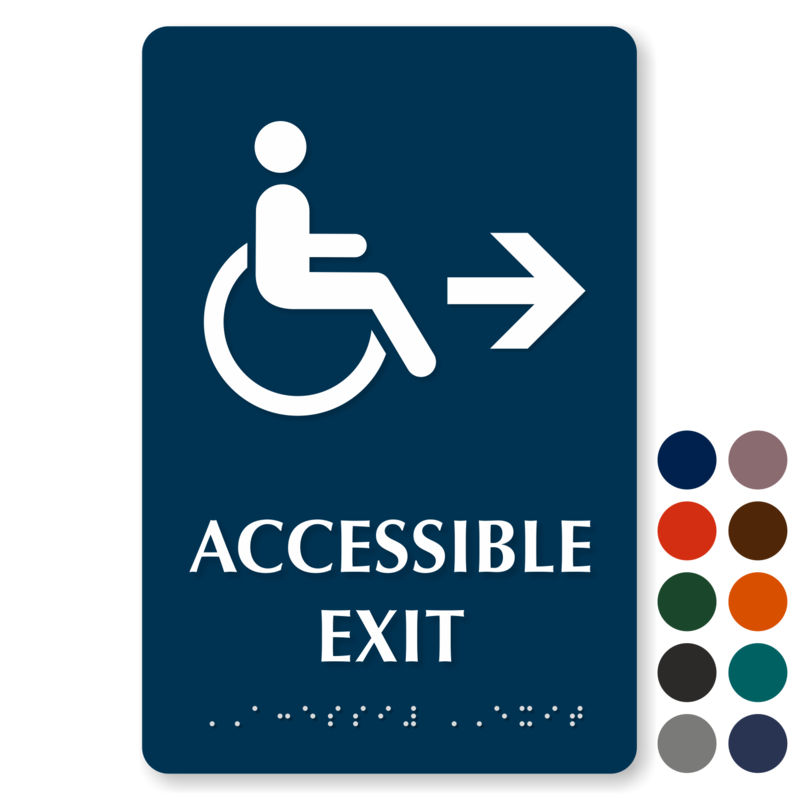 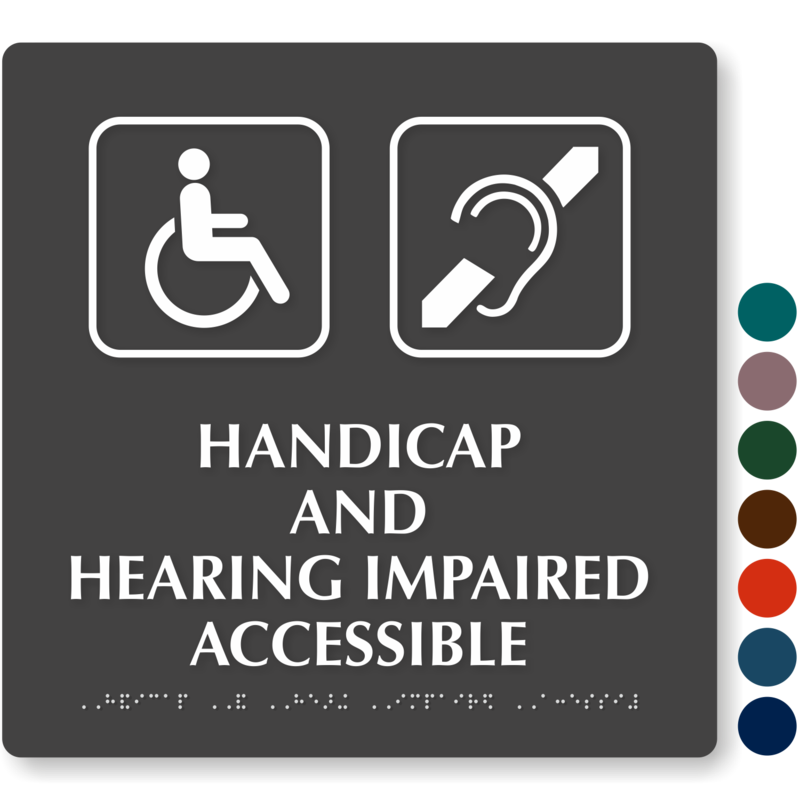 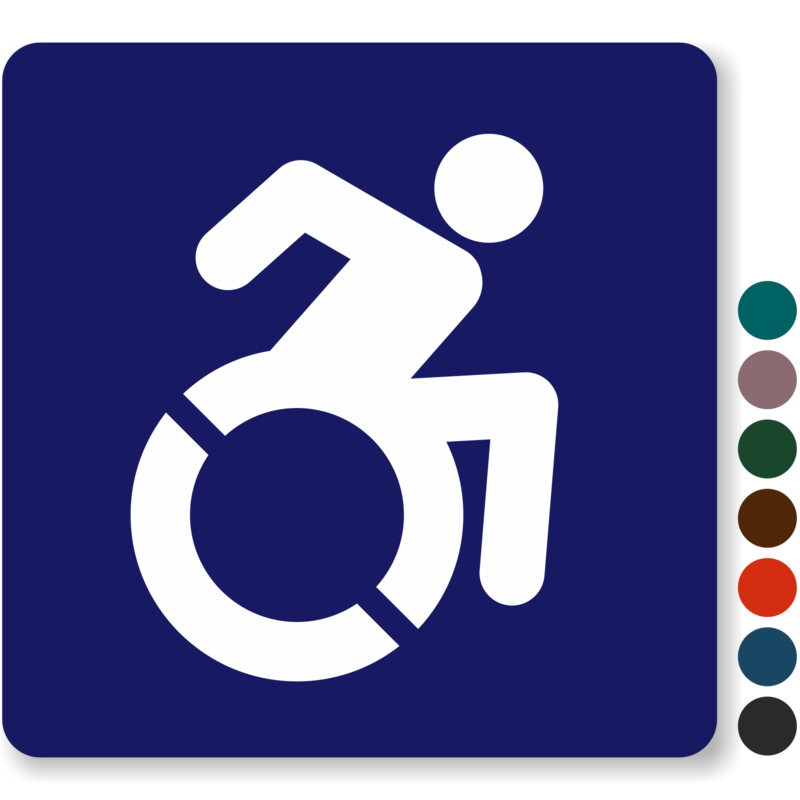 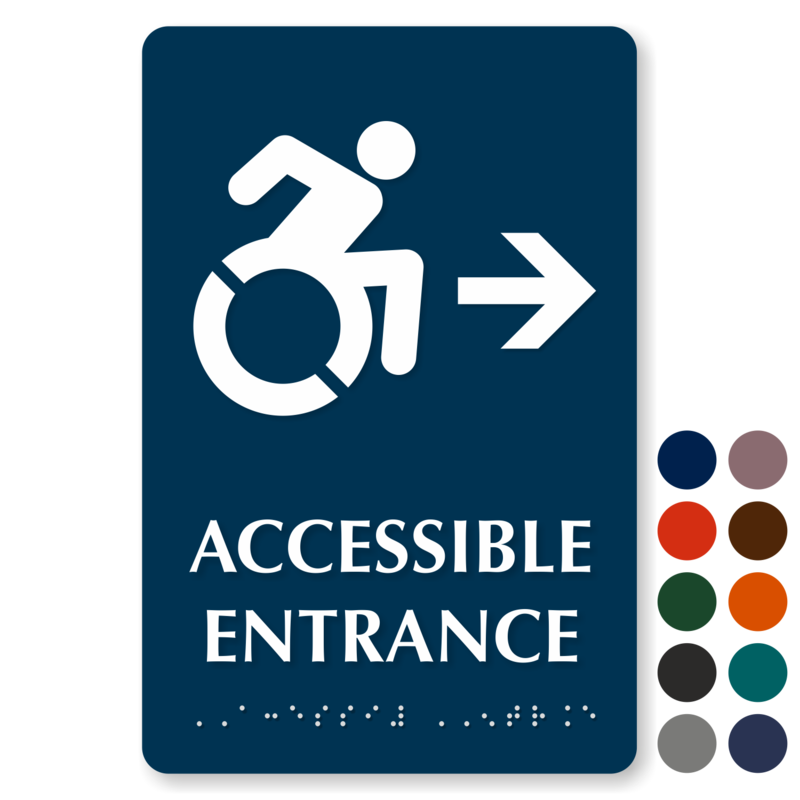 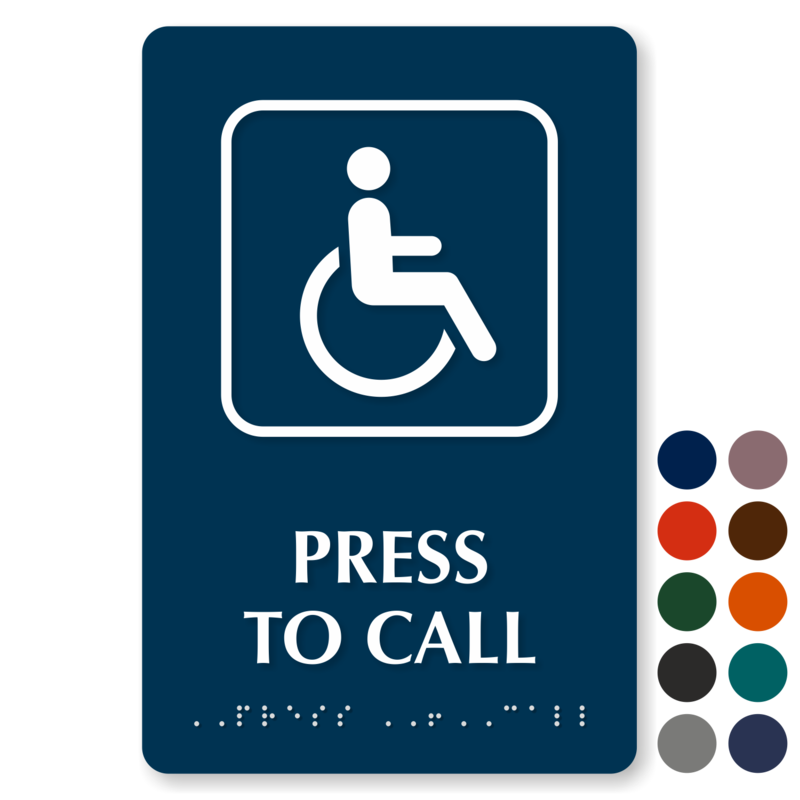 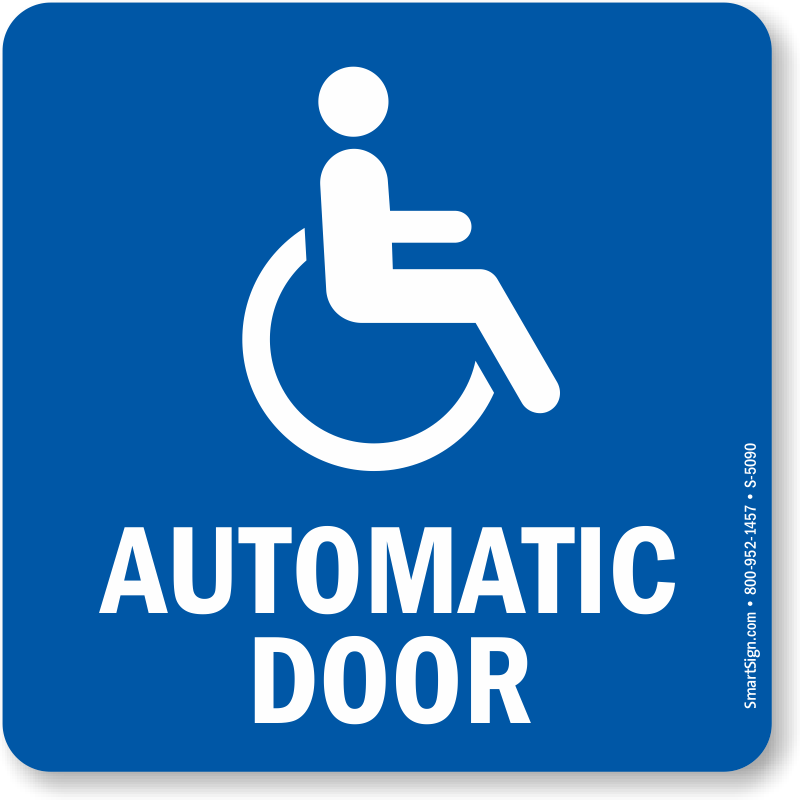 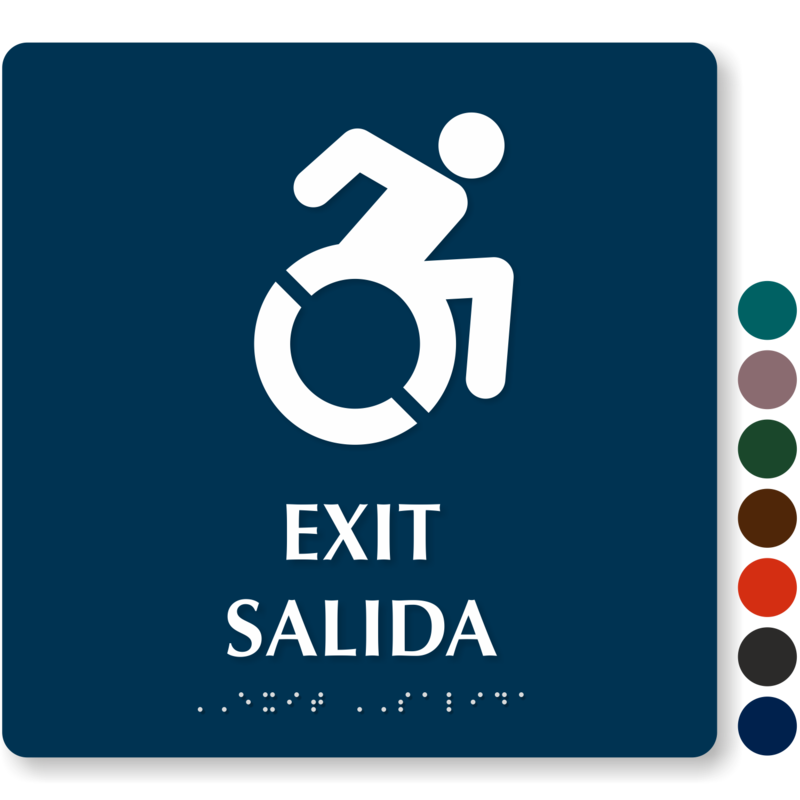 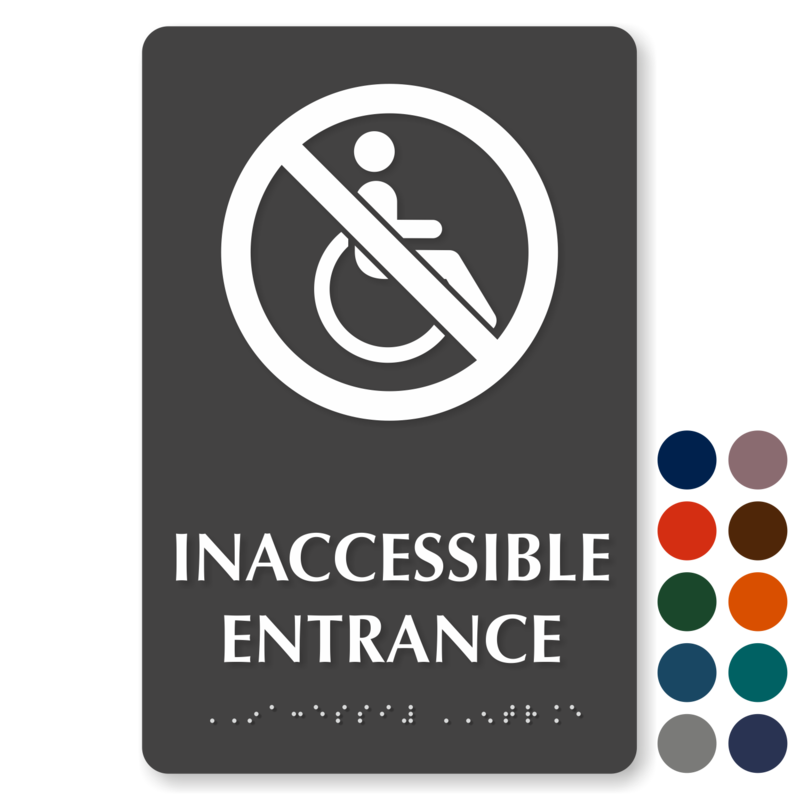 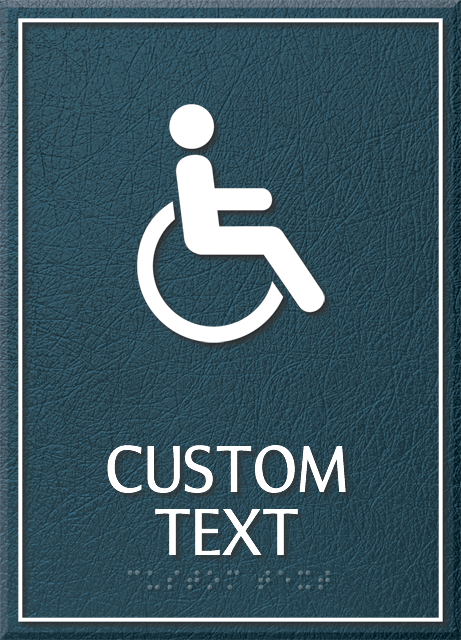 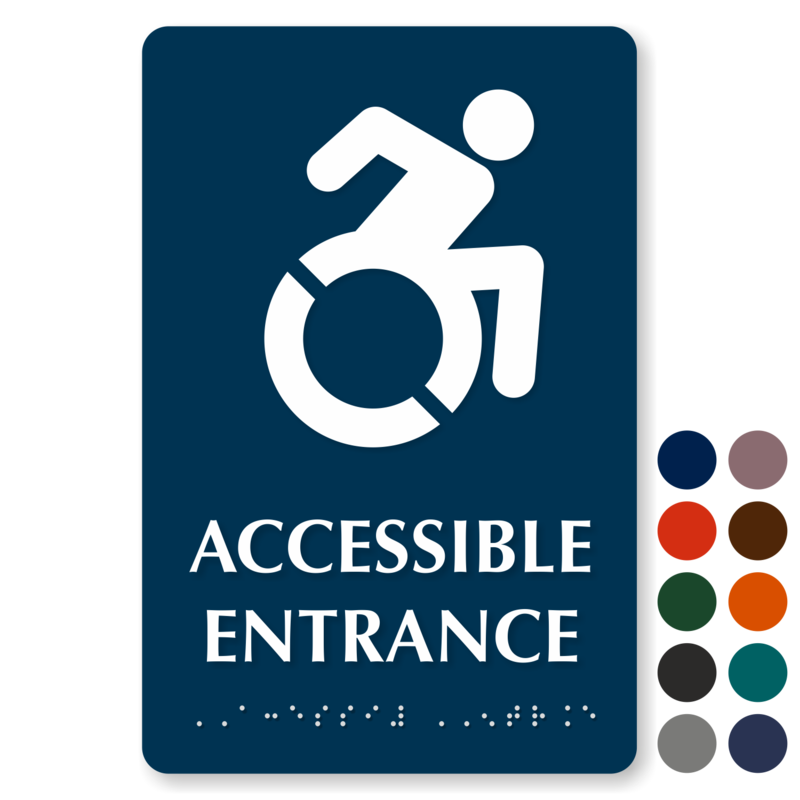 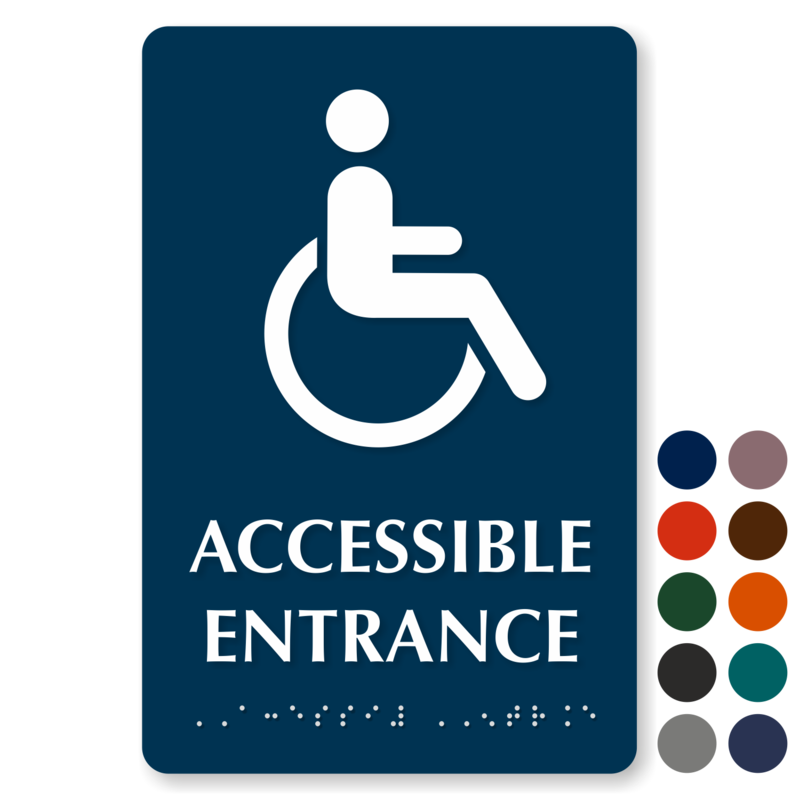 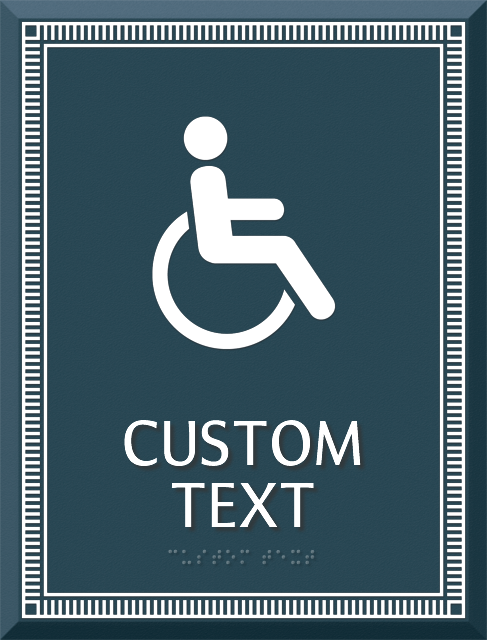 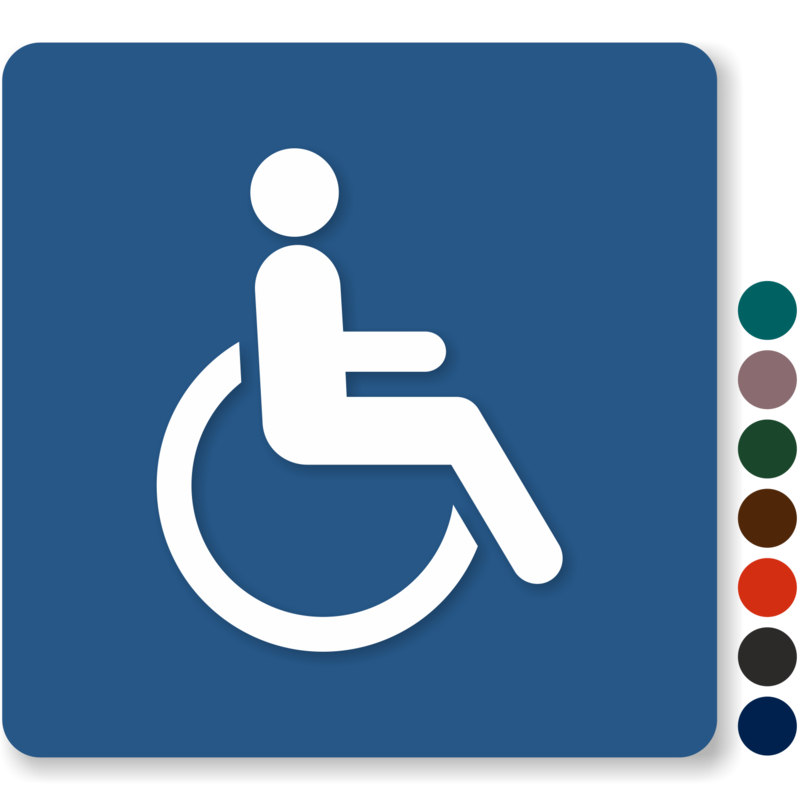 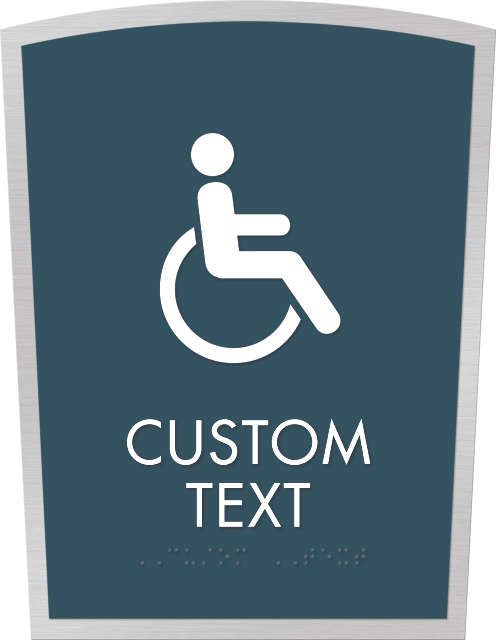 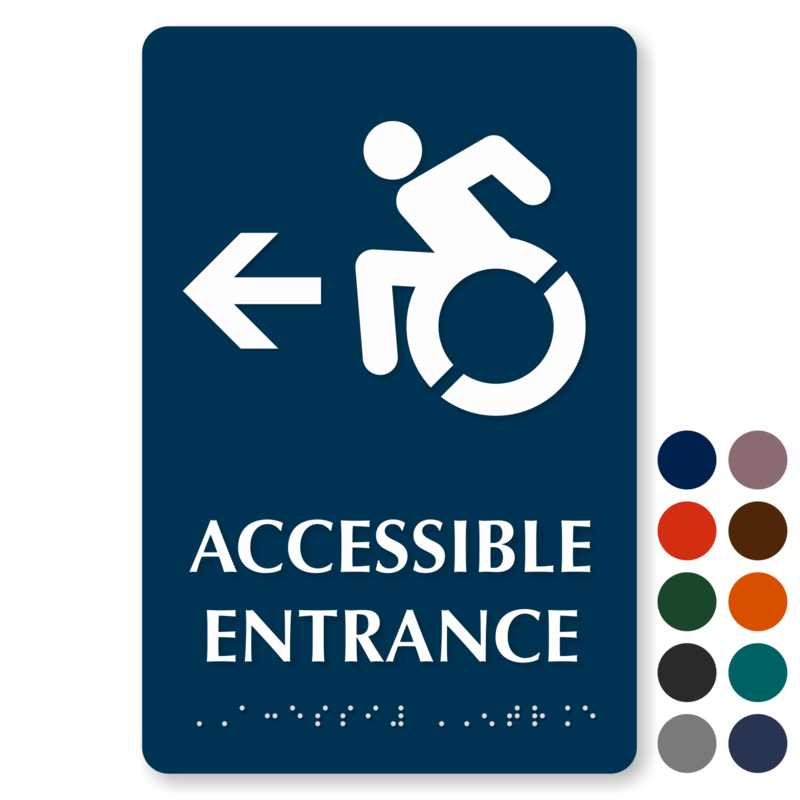 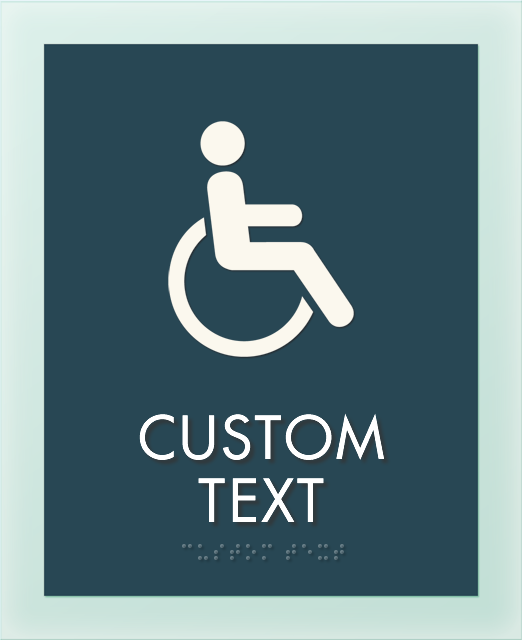 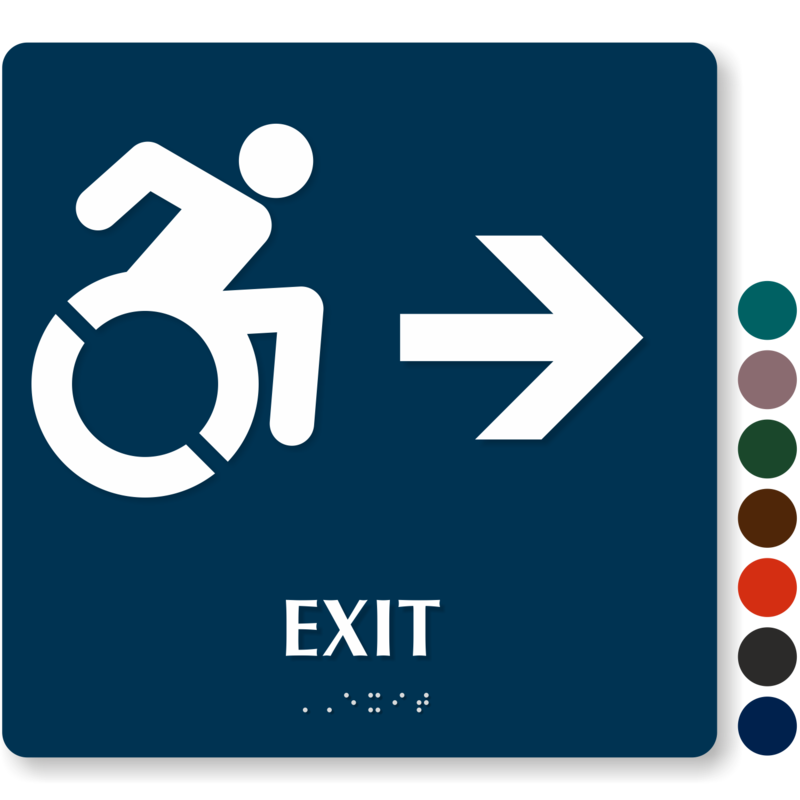 Mark different parts of your facility with our contemporary ADA Accessible Braille Signs that follow the rules without compromising the aesthetics of your building. 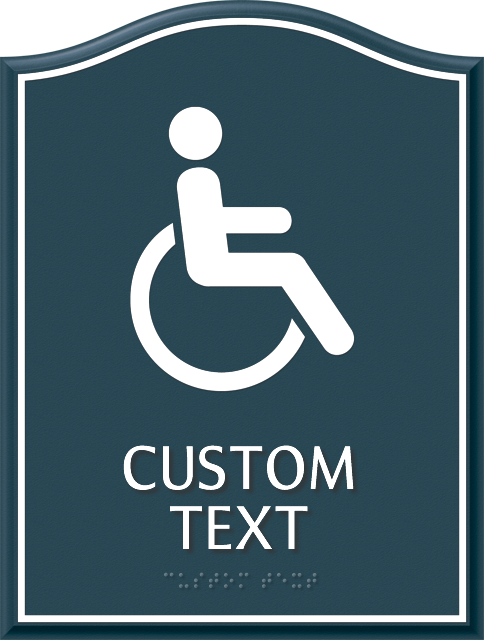 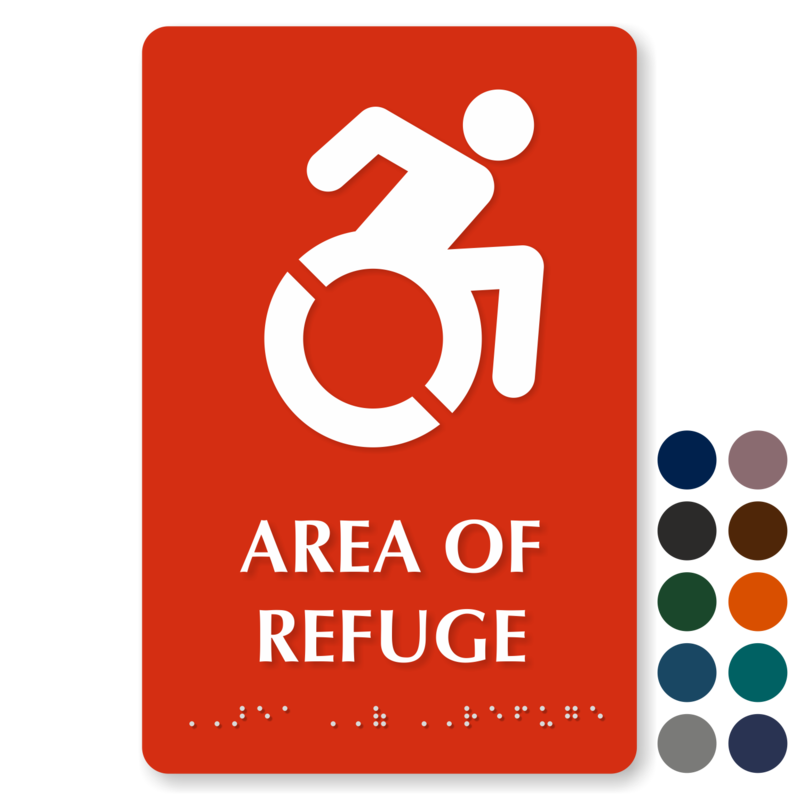 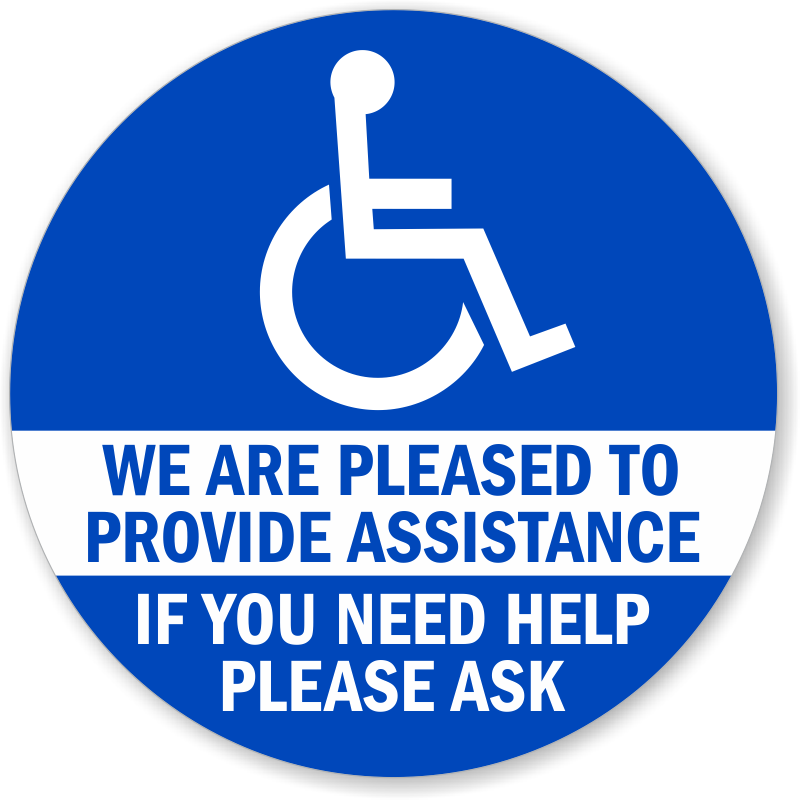 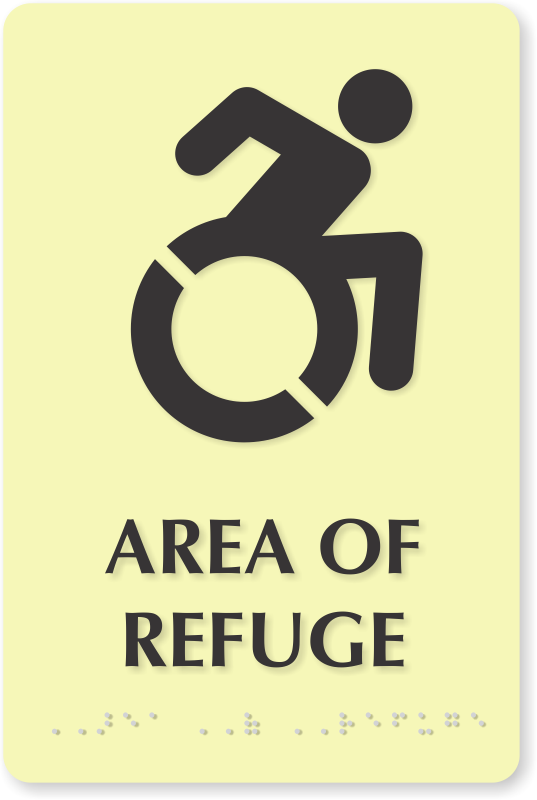 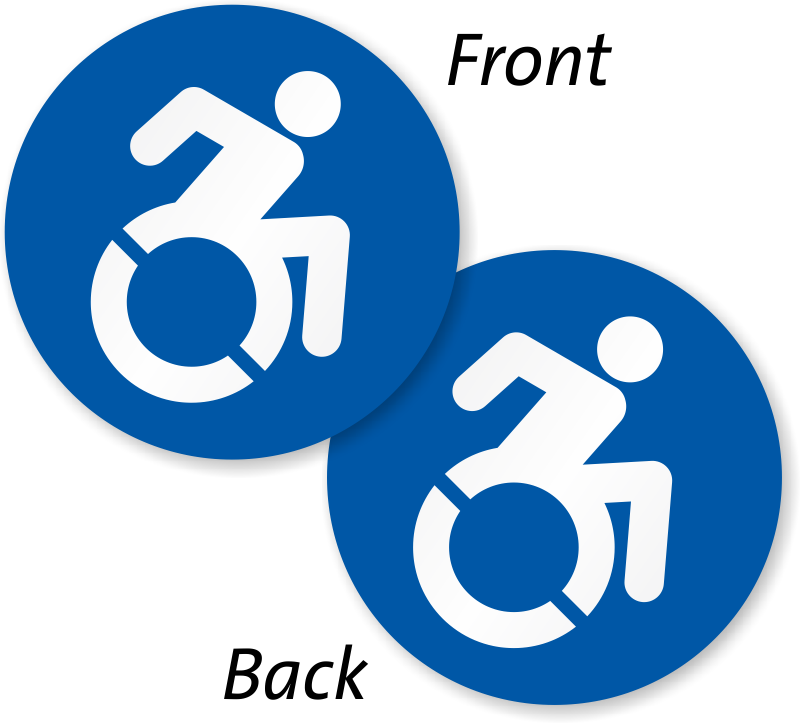 • Our signs not only comply with the ADA guidelines but blend in well with your decor. 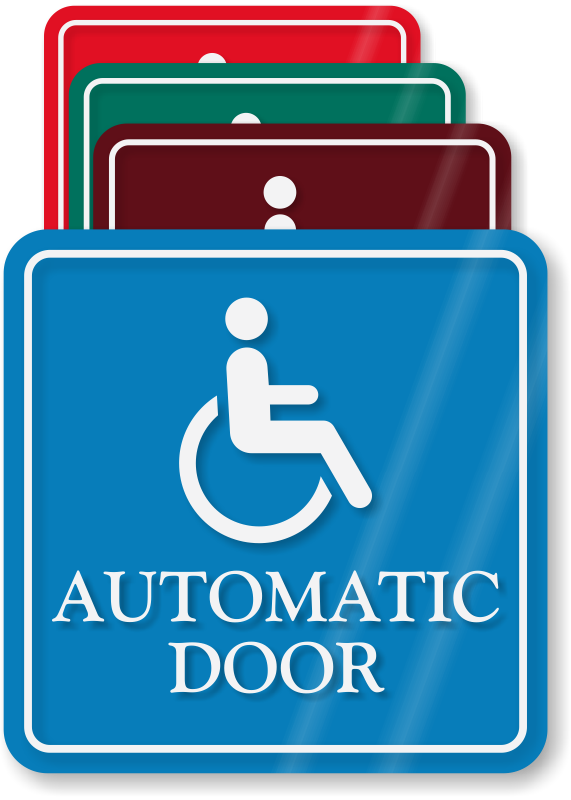 • Made from durable, thick, non-glare plastic, our signs are resistant to chemicals, scratches and vandals! 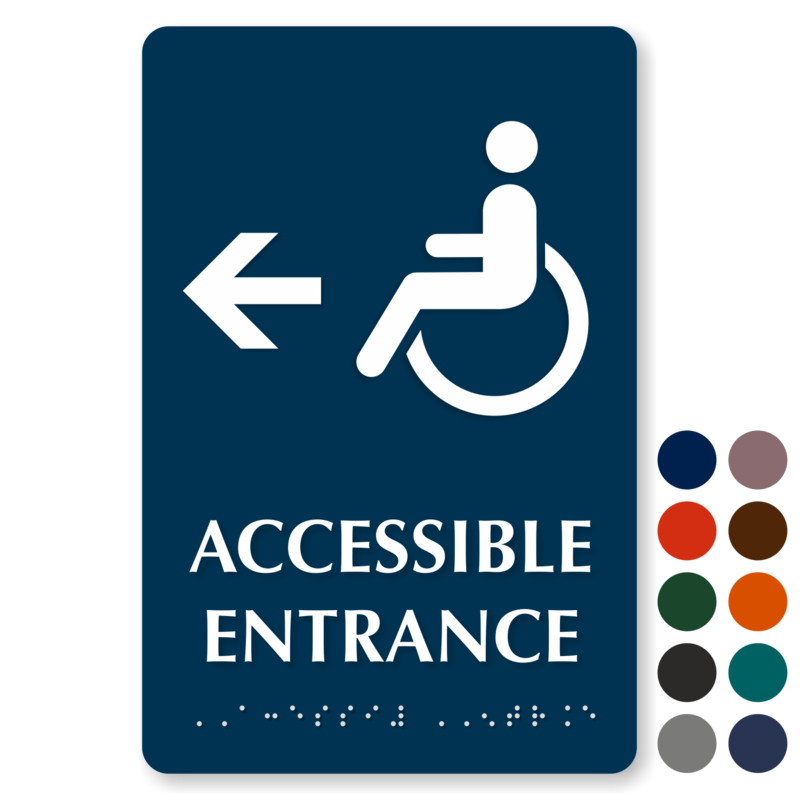 Signs feature raised lettering and Grade II Braille. 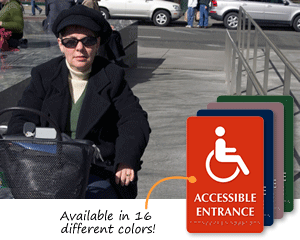 • Choose from more than 16 color schemes. 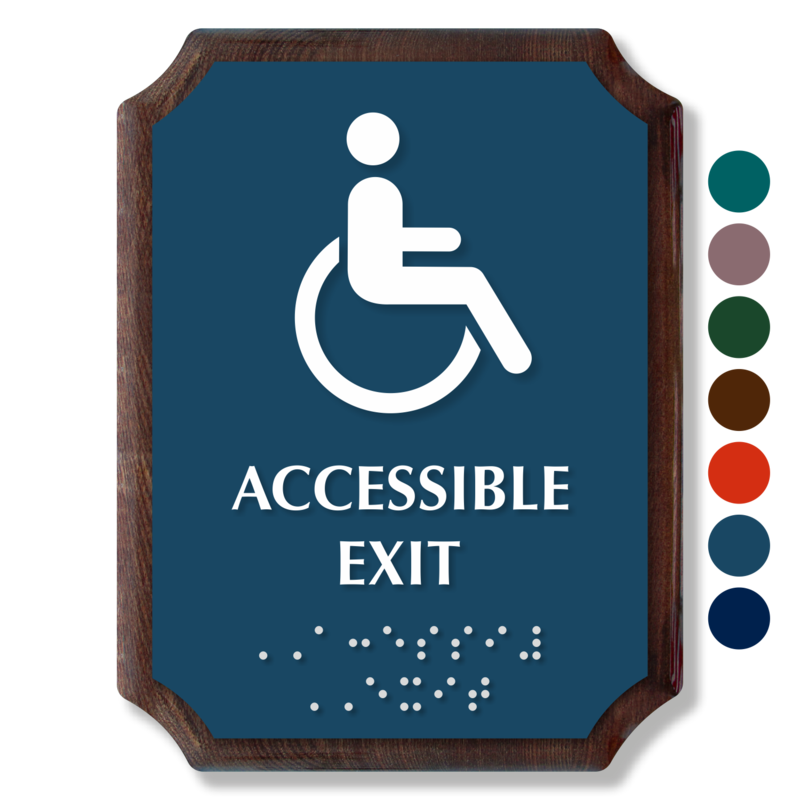 • Foam tape strips at the back of the sign makes installation easy. 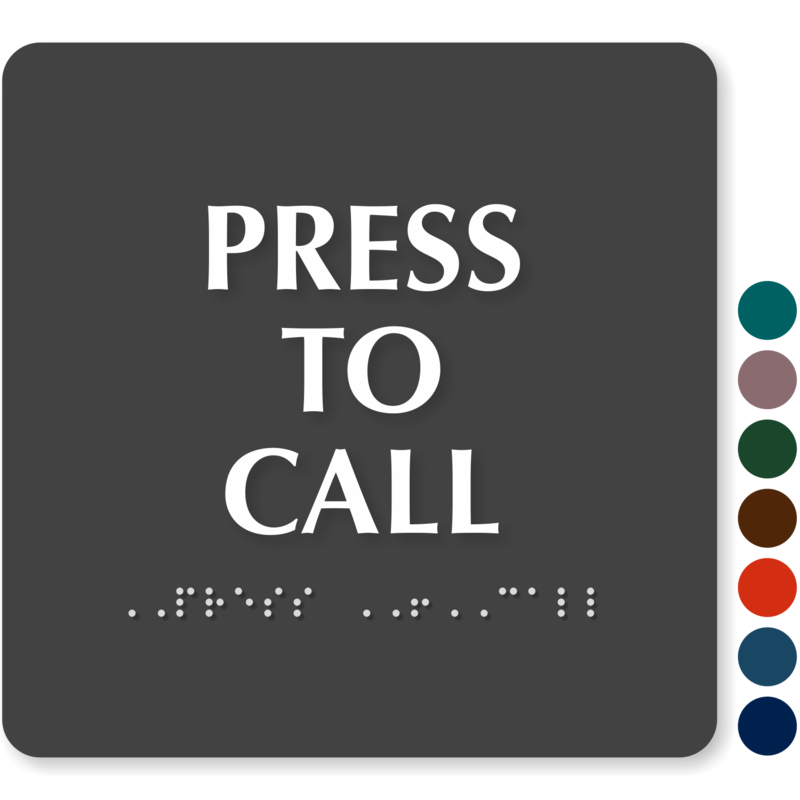 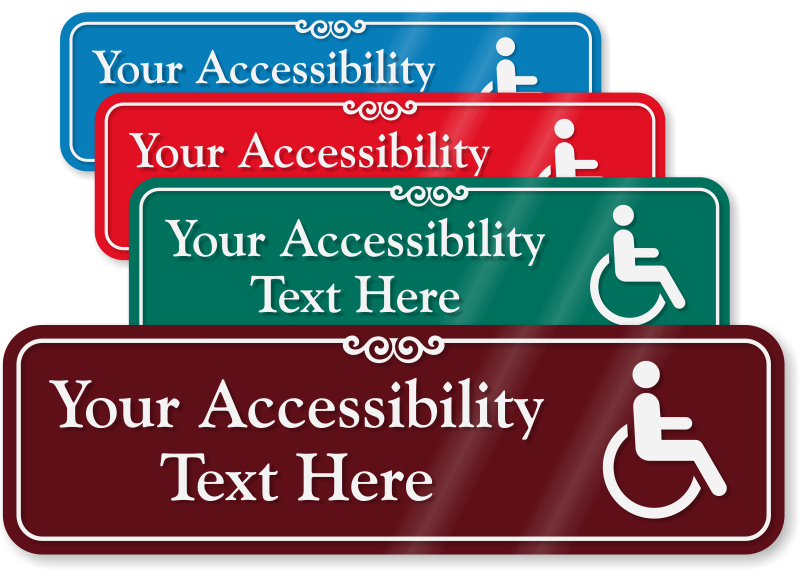 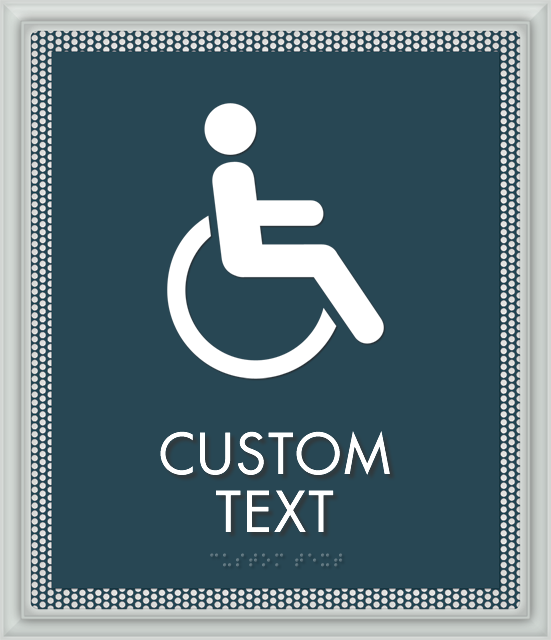 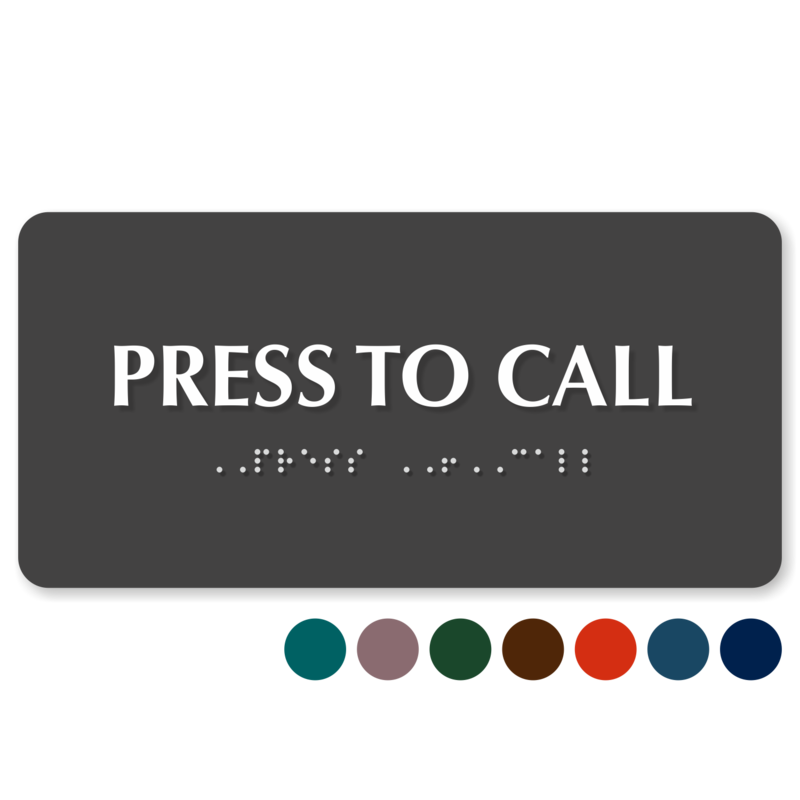 You can also customize your ADA Accessible Braille Signs by adding text. 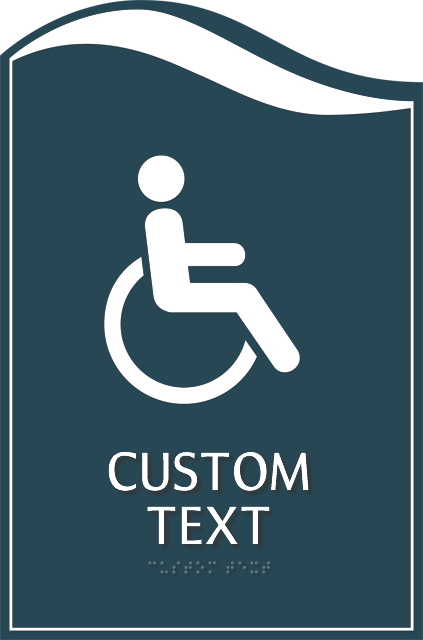 Simply enter your choice of text and view how your sign will look as you type it! 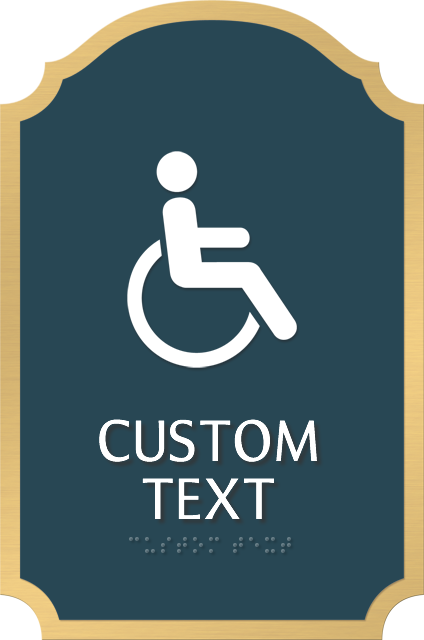 We will automatically translate your legend to Grade II Braille.